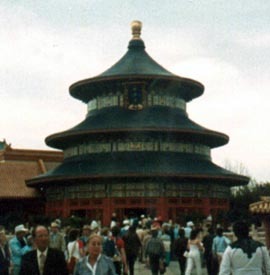 Epcot Center, A Disney attraction, is another great place to visit in central Florida. 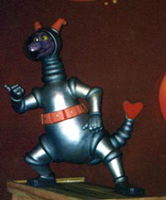 It's second favorite of the Disney Theme Parks. 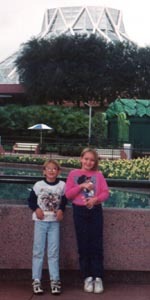 Following are some pictures from some of our many visits to Epcot. To save loading time, these pictures are thumbnails. Click on the thumbnail if you wish to see a larger version. 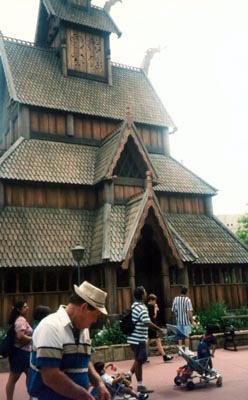 Here are the Norwegian and Chinese areas of the World Showcase. The World Showcase features exhbits, rides or movies, shops, souveniers, authentic cuisine, and more from each of the featured countries. Natives of those countries also work in the World Showcase areas. Some include, USA, Mexico, Canada, France, China, Japan, Norway, Germany, Italy, and Morocco. 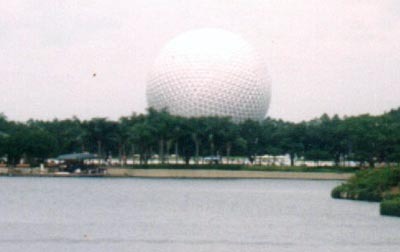 Here are two different shots of the "Jolly Green Giant's Golfball", otherwise known as Spaceship Earth. Inside the large sphere is a ride which spirals up to the top and then back down. It depicts the history of mankind. 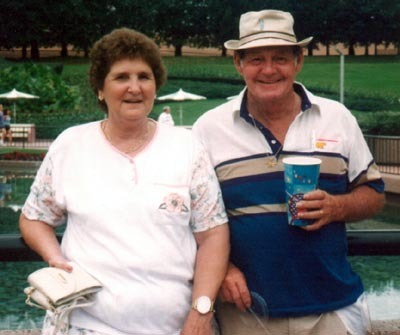 Here's a picture of my grandparents, Jack and Pat, on a trip we took to Epcot Center in May 1998. 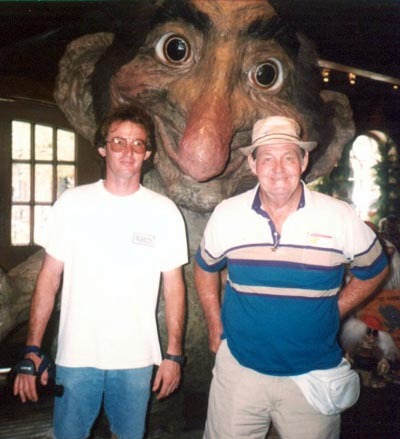 The second one I call "The Three Trolls" - it's my grandfather, my husband and a Troll statue and was taken in the gift shop at the Norwegian village. Here's a picture of Breanna and Mason in front of one of the rides and Figment (as in Figment of your imagination) - he's featured in Journey into Your Imagination. 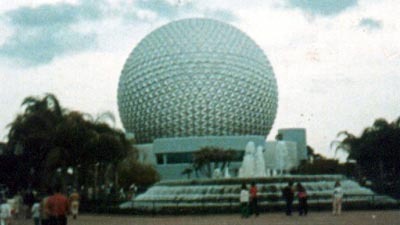 I hope you've enjoyed seeing my Epcot pictures.